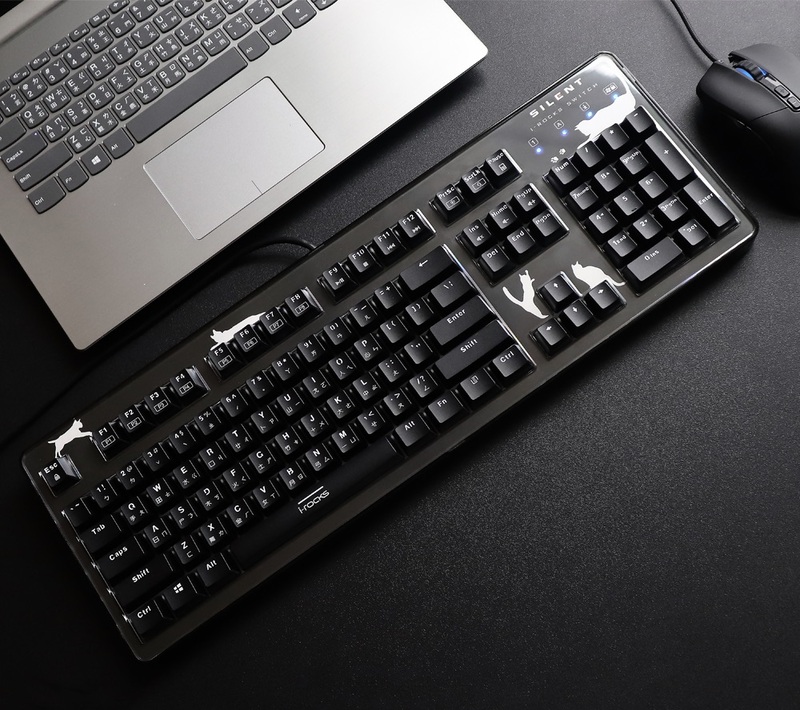 iRocks, a Taiwanese PC peripheral manufacturer, announced the release of K76M Custom mechanical keyboard for one of latest product lineup in 2019. The K76M features user-swappable top acrylic panel that enables users to change how keyboard would look by changing decoration skins under the panel. The keyboard comes with 3 default skins and users can customize the keyboard with their own designed skins. 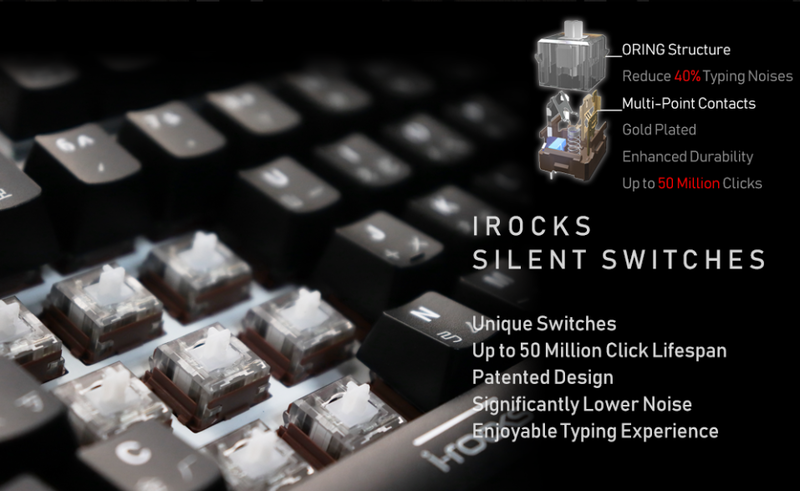 Aiming to offer enjoyable typing experience inspired by classic Alps-type switches dominating the keyboard market during 80-90s, i-Rocks teamed up with community experts and professional machining companies, putting their feedback into the making of the keyboard and its components. Gold-plated, multi-point contacts make the switches capable of withstanding heavy usage, with superior 50 million click lifespan. With flawless integration of MX keycap-compatible stems, switches on the K76M support most of third party MX keycaps. 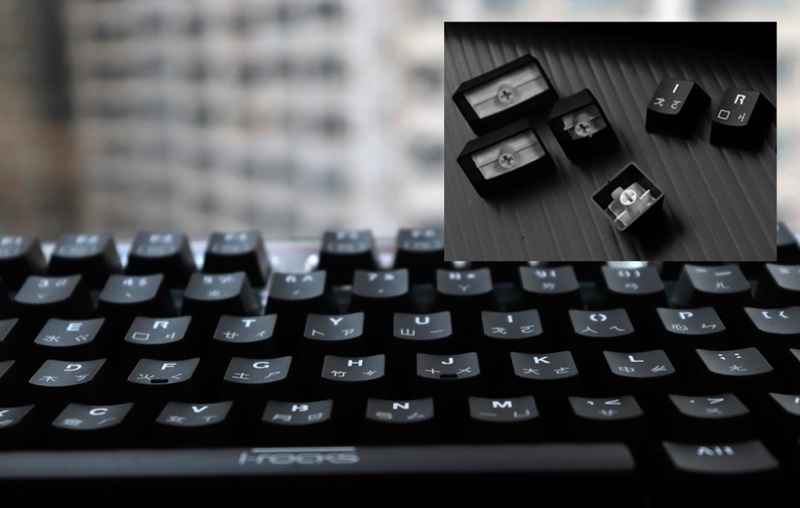 To achieve silent typing experience, i-Rocks added rubber rings inside each key switches for quiet yet tactile feedback and satisfying key travel. K76M Custom sports a set of doubleshot keycaps for maximum durability and character clarity.